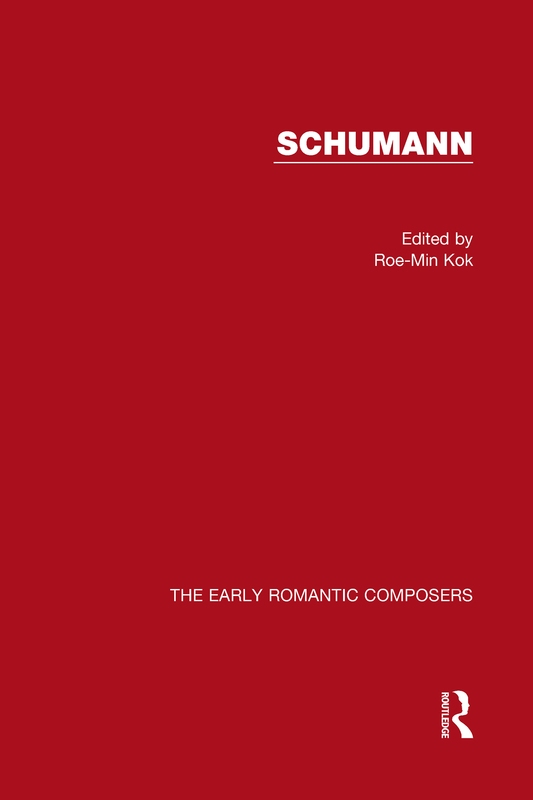 This collection is a compilation of many of the paths taken by scholars in their pursuit of knowledge about Schumann over the last half-century. Selected for their topical breadth and quality, the writings showcase different points of departure as well as their authors’ allegiance to diverse methods of investigation. Finson, Jon. "The Sketches for the Fourth Movement of Schumann’s Second Symphony, Op. 61." Journal of the American Musicological Society 39/1 (1986): 143-168. Synofzik, Thomas. "Ein Rückert-Kanon als Keimzelle zu Schumanns Klavierkonzert Op. 54." Die Musikforschung 58/1 (2005): 28-32. Appel, Bernhard. "Schumanns Davidsbund. Geistes- und sozialgeschichtliche Voraussetzungen einer romantischen Idee." Archiv für Musikwissenschaft 38/1 (1981): 1-23. Daverio, John. "Schumann: Cryptographer or Pictographer?" In John Daverio, Crossing Paths: Schubert, Schumann, and Brahms. Oxford et al: Oxford University Press, 2002. Pp. 65-102. Kok, Roe-Min. "Falling Asleep: Schumann, Lessing and Death in a Wunderhorn Lullaby." Special issue Verwandlungsmusik: Über komponierte Transfigurationen. Ed. Andreas Dorschel. Studien zur Wertungsforschung 48 (2007): 236-72. Lippman, Edward A. "Theory and Practice in Schumann’s Aesthetics." Journal of the American Musicological Society 17/3 (1964): 310-345. Muxfeldt, Kristina. "Frauenliebe und Leben Now and Then." 19th-Century Music 25/ 1 (2001): 27-48. Thym, Jürgen. "Schumann in Brendel’s Neue Zeitschrift für Musik from 1845 to 1856." In Mendelssohn and Schumann: Essays on their Music and its Context. Ed. Jon W. Finson and R. Larry Todd. Durham, North Carolina: Duke University Press, 1984. Pp. 21-36 and 163-165 (endnotes). Nauhaus, Gerd. "Rückkehr zum Wort: Schumanns späte literarische Arbeiten." In Der späte Schumann. Musik-Konzepte Neue Folge Sonderband. Ed. Ulrich Tadday. Munich: Richard Boorberg, 2006. Pp. 201-212. Deahl, Lora. "Robert Schumann’s Kreisleriana and Double Novel Structure." International Journal of Musicology 5 (1996): 131-145. Jensen, Eric Frederick. "Explicating Jean Paul: Robert Schumann’s Program for ‘Papillons,’ Op. 2." 19th-Century Music 22/2 (1998): 127-143. Hindenlang, Karen A. "Eichendorff’s Auf einer Burg and Schumann’s Liederkreis, Opus 39." Journal of Musicology 8/4 (1990): 569-587. Macdonald, Claudia. "Schumann’s Earliest Compositions and Performances." Journal of Musicological Research 7/ 2-3 (1987): 259-283. Hallmark, Rufus. "The Rückert Lieder of Robert and Clara Schumann." 19th-Century Music 14/1 (1990): 3-30. Wendt, Matthias. "Tempora mutantur oder Wie viele Metronome besaß Robert Schumann eigentlich?" Schumann-Studien 10 (2012): 217-240. Burton, Anna M. "Robert Schumann and Clara Wieck: A Creative Partnership." Music & Letters 69/2 (1988): 211-228. Tunbridge, Laura. "Schumann as Manfred." The Musical Quarterly 87/3 (2004): 546-569. Roesner, Linda Correll. "Schumann’s ‘Parallel’ Forms." 19th-Century Music XIV/3 (1991): 265-278. Lester, Joel. "Robert Schumann and Sonata Forms." 19th-Century Music 18/3 (1995): 189-210. Kaminsky, Peter. "Principles of Formal Structure in Schumann’s Early Piano Cycles." Music Theory Spectrum 11/2 (1989): 207-225. Newcomb, Anthony. "Once More ‘Between Absolute and Program Music’: Schumann’s Second Symphony." 19th-Century Music 7/3 (1984): 233-250. Tovey, Donald F. "13. Quintet in E flat Major, op. 44, for Pianoforte, Two Violins, Viola, and Violoncello (1900)." In Donald F. Tovey, Essays in Musical Analysis: Chamber Music. London: Oxford University Press, 1944. Pp. 149-154. Krebs, Harald. "Robert Schumann’s Metrical Revisions." Music Theory Spectrum 19/1 (1997): 35-54.